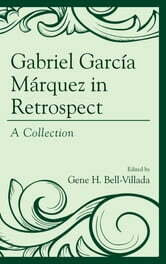 Gabriel Garcia Marquez in Retrospect gathers fifteen essays by noted scholars in the fields of Latin American literature, politics, and theater. The volume offers broad overviews of the Colombian author’s total body of work, along with closer looks at some of his acknowledged masterpieces. The Nobel laureate’s cultural contexts and influences, his variety of themes, and his formidable legacy (Hispanic, U.S., world-wide) all come up for consideration. New readings of One Hundred Years of Solitude are further complemented by fresh, stimulating, highly detailed examinations of his later novels (Chronicle of a Death Foretold, The General in His Labyrinth, Of Love and Other Demons) and stories (Strange Pilgrims). Further attention is focused on “Gabo’s” labors as journalist and as memoirist (Living to Tell the Tale), and to his sometime relationships with the cinema and the stage. Reactions to his enormous stature on the part of younger writers, including recent signs of backlash, are also given thoughtful scrutiny. Feminist and ecocritical interpretations, plus lively discussions of Gabo’s artful use of humor, character’s names, and even cuisine, are to be found here as well. 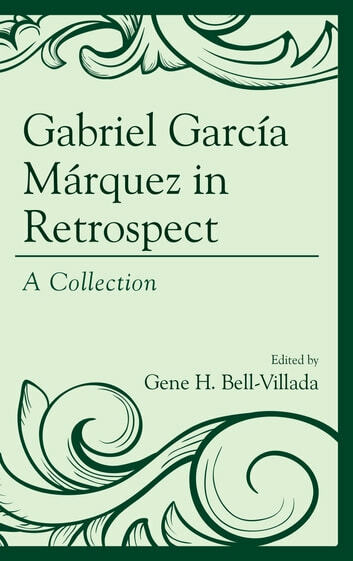 In the wake of García Márquez’s passing away in 2014, this collection of essays serves as a fitting tribute to one of the world’s greatest literary figures of the twentieth century.